Protect your shop against fraudulent customers! This module integrates into your order process and performs a credit check of customers. 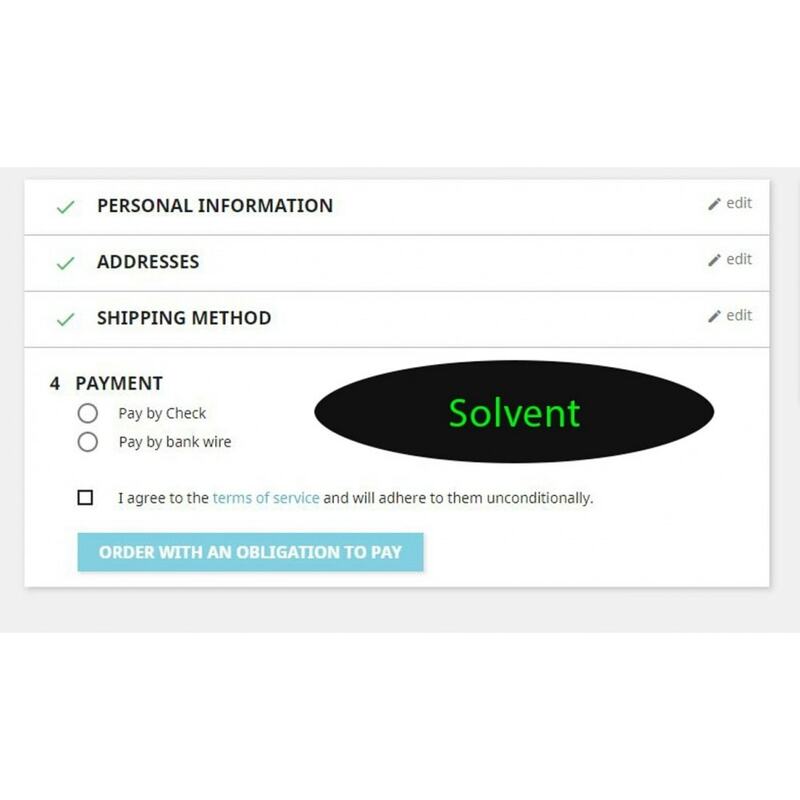 You decide which payment methods you want to hide from insolvent customers. Offers protection against fraudulent customers. Offer new payment methods (like invoice) without worries. Speed up your selling process thanks to real-time verification. Increase your sales by using new payment methods. 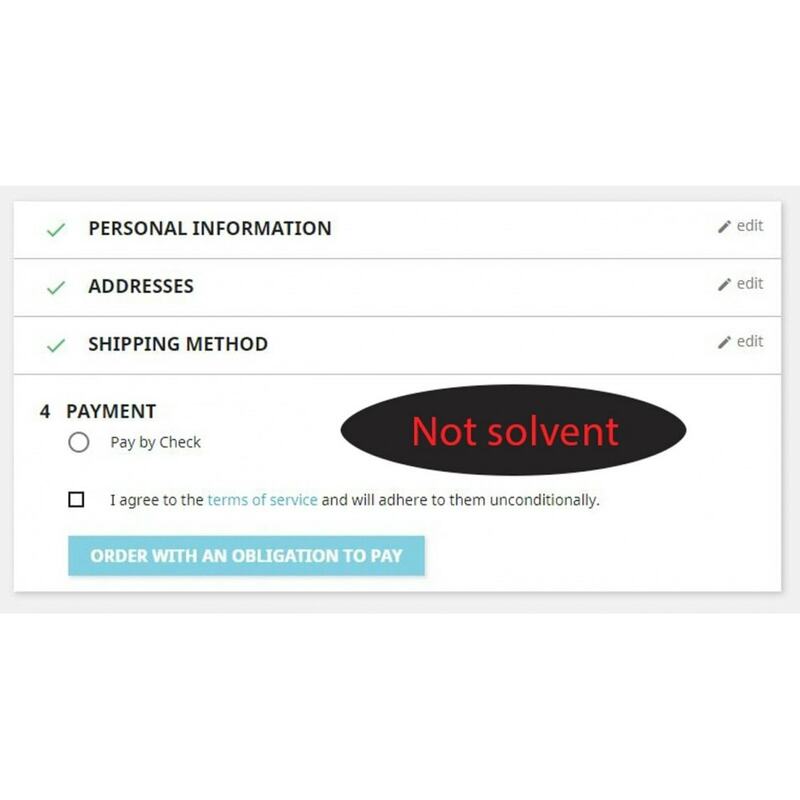 This module is very easy to use: when a customer places an order, the module does a solvency check with CRIF. In case of a postiive answer, nothing changes. 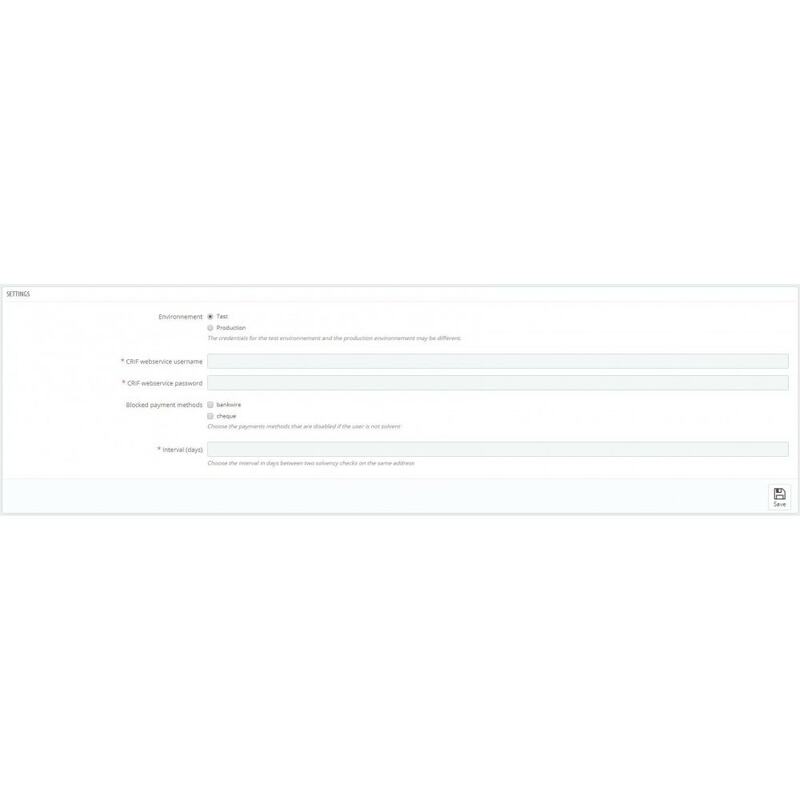 Otherwise, the payment methods that you have checked in the module configuration will be hidden from the customer. Everything works seamlessly and automatically inside PrestaShop. Choice of the interval at which the solvency of a same client will be verified. Choice of payment methods that are blocked for non-creditworthy customers. Please be aware that once activated in productive mode, this module performs a credit check for each new customer who tries to place an order. For each request, your CRIF units balance is deducted according to the contract you signed. Access to the "CRIF Soap Service" webservice of CRIF - if you do not have one, the documentation explains the procedure to follow.